Circa the summer of 1984, Pico reportedly purchased 400 acres of land. 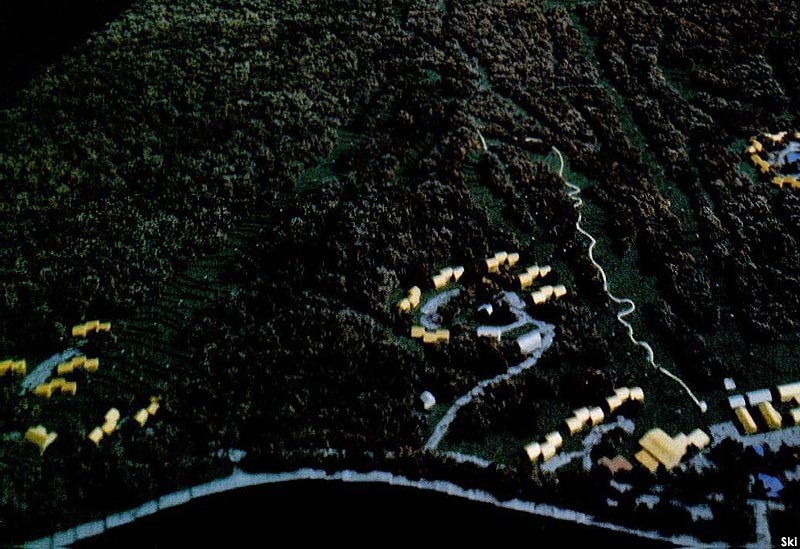 During the Christmas holiday week later that year, Pico announced a $50 million resort village buildout. 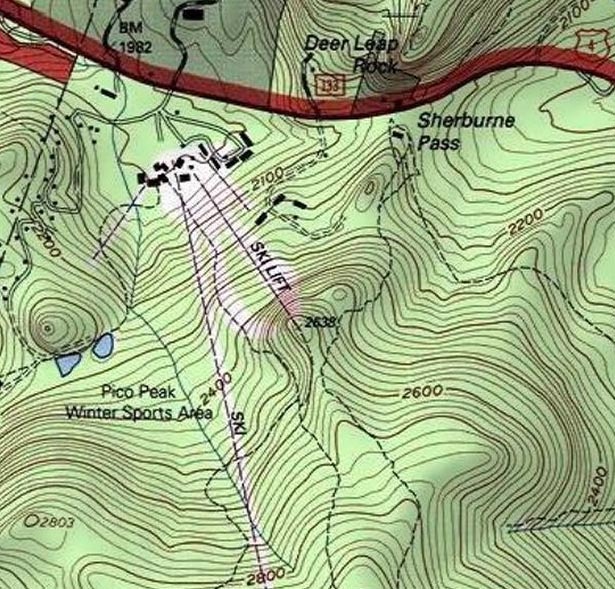 Billed as a five to ten year plan, a 3-D rendering of the project showed a new slope and lift starting from a new real estate development at Sherburne Pass and running to a point above Little Pico. The slope and lift would have had a vertical drop of about 600 feet. One obstacle was the Appalachian Trail/Long Trail running through the proposed base area. 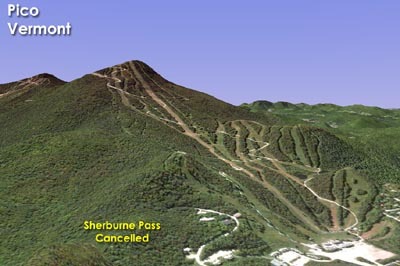 While the Sherburne Pass ski complex was never constructed, the hiking trails were eventually rerouted around Pico Peak circa the late 1990s.